Over 93% of interviewed foreign tourists said they are satisfied with their trips to Viet Nam, according to the Viet Nam Annual Tourism Report 2017 by the Viet Nam National Administration of Tourism (VNAT). The VNAT recently said that in 2017, it distributed 27,000 feedback forms to foreigners at 12 international border gates nationwide, including four airports, four land border gates, and four seaports. Results showed that up to 93.46% of the respondents were satisfied and very satisfied with their trips in Viet Nam. Only 0.63% of them recorded any dissatisfaction. More than 92.5% of tourists stayed overnight in Viet Nam at tourism accommodations, and 7.4% visited the country within one day. Over 60% of the visitors organised tours by themselves. 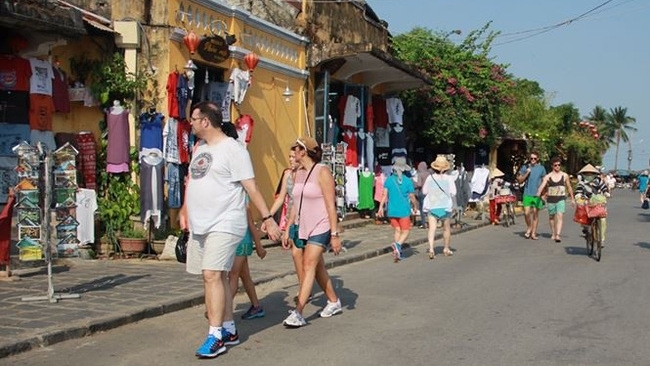 Meanwhile, each foreign visitor staying at tourism accommodations spent an average of 1,171.3 US$ in Viet Nam, with Asian visitors spending 995.7US$, European visitors 1,295.3 US$, visitors from Oceania 1,791.1US$ , and those from the Americas 1,525.1US$. About 60% of the respondents were visiting Viet Nam for the first time, according to the report. At the press conference in Ha Noi, the VNAT also reported that nearly 7.9 million foreigners visited Viet Nam in the first half of 2018, up 27.2% year-on-year. The country also witnessed around 42.8 million domestic tourists exploring the nation in this period.